I find it very disappointing to go to orthopaedic meetings and hear eminent surgeons and engineers talking as if there are only CR and PS total replacement knees available. They say that TKR is as good as it needs to be, that all knee implants perform the same, but that total knee patient satisfaction is not as good as it is for hips and not as good as for a partial knee replacement – which keeps more of the normal physiology. Retaining the posterior cruciate ligament (PCL) in total knee replacement is something of a fallacy because its insertion into the proximal tibia is very high, and consequently is severed with the proximal tibia bone cuts for all designs of popular total knee. 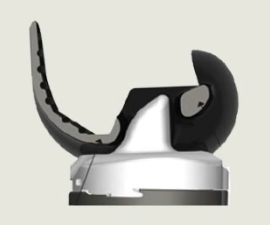 The posterior joint capsule is attached to the PCL and so helps retain a semblance of retention that is equivalent to a badly injured PCL, but which would not be at all satisfactory in a normal knee. It should be remembered too, that for total knee replacement there is no anterior cruciate ligament (ACL) present at all so that any total knee replacement is effectively devoid of both ACL and PCL. Logically the knee replacement should therefore provide the equivalent effect of both ligaments to control and stabilise the femur on the tibia in an anterior – posterior direction (forwards – backwards or A-P). CR (Cruciate Retaining) is a name that has been given to a knee replacement type but is a very strange choice; it is not what the implant itself provides, quite the opposite in fact. What the name actually means is that the patient’s own PCL can be retained, or attempted to be so as mentioned above. Another name sometimes used for such implants is Minimally Stabilised (MS), this is because the articulation between the femur and tibia for these type of implants does not match at all. As a result they are very free to slide around on each other such that the implant provides no A-P stability. This is deliberate because consequently it will not conflict with whatever is left of the PCL. It is no wonder therefore that CR or MS knees are generally A-P unstable; to help overcome this surgeons attempt to make the knee quite tight, but whatever they do, patient satisfaction is poor. PS type knee implants have been around from the start of knee design evolution when it was erroneously decided to allow the femur on tibia to be A-P unstable because rotation was considered obligatory around the long axis of the knee and that so called “roll back” was also obligatory. 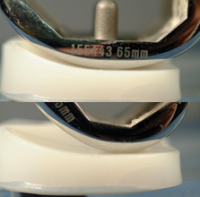 The basis of PS assumes that the PCL will be deliberately resected although in fact that is not really necessary because the PS element of such knees is otherwise essentially the same as the CR type, but it makes the operation easier. The PS element is to add a post to the top of the tibia and cam to the femur within the area between the medial and lateral condyles. This comes into operation part way through flexion, usually not till more than 40 degrees of flexion. Some simply engage between a post and cam to prevent the femur rolling forwards which it naturally will do if untethered in a lax joint space, whilst others force the femur back on the tibia with deep flexion; either way the post-cam is not effective during normal walking. Given that people spend most of their time walking and move the knee only 20 degrees it can be understood that for most activities PS provides nothing more by way of A-P stability than a CR knee with consequentially similarly poor outcomes. In addition, however, it is becoming apparent from National Joint Registers internationally, and therefore open for all to observe, that PS knee implants have a higher failure by revision incidence than CR knees, yet around 30-40% of primary total knees implanted throughout the world are PS types! It is very gratifying to note that the Australian Joint Registry has now included a third and very different type of knee but have called it Medial Pivot. 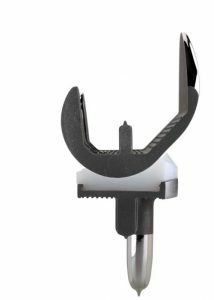 These are better described as Medially Stabilised because Medial Pivot is a single brand trade name and does not therefore reflect the type correctly, especially as different brands within the type are performing differently. 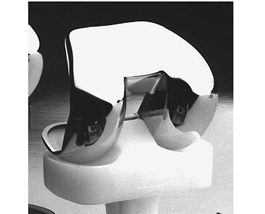 The Medially Stabilised type of knee was developed by Finsbury Orthopaedics in the 1980s and first implanted in 1994 by Michael Freeman at The Royal London Hospital. 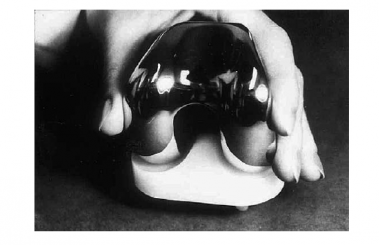 The overriding principal was to get closer to the form and function of the normal knee which it is generally accepted has the equivalent of a ball in socket articulation on the medial side. 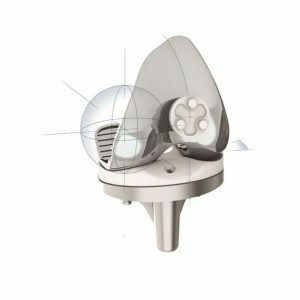 In the normal knee this is partly made up of the very strong medial meniscus and the dished medial tibia, in a total knee replacement it must be a fully congruent ball on the femur in a matching socket on the tibia; by enhancing this both the missing ACL and PCL are to a great extent compensated for. Finsbury licensed other companies on their 1992 patent but they made some mistakes along the way and as a result have slowed the general acceptance of the design type. Finsbury’s own version which was eventually called the MRK™ was introduced with great care so as to provide clinical prudence and an ethical commercial rollout. As MatOrtho® from 2010 we have done the same with its refined update, the only knee implant purely designed as MS called the SAIPH®, the name derived from Orion the hunter’s knee, 65,000 times brighter than our sun and 720 light years away, about as far as it is ahead of other total knees! From my experience l fully agree with the article. Posterior retaining TKR is at all times compromise- if possible at all.